Climate change does not know any borders, continents or hemisphere. 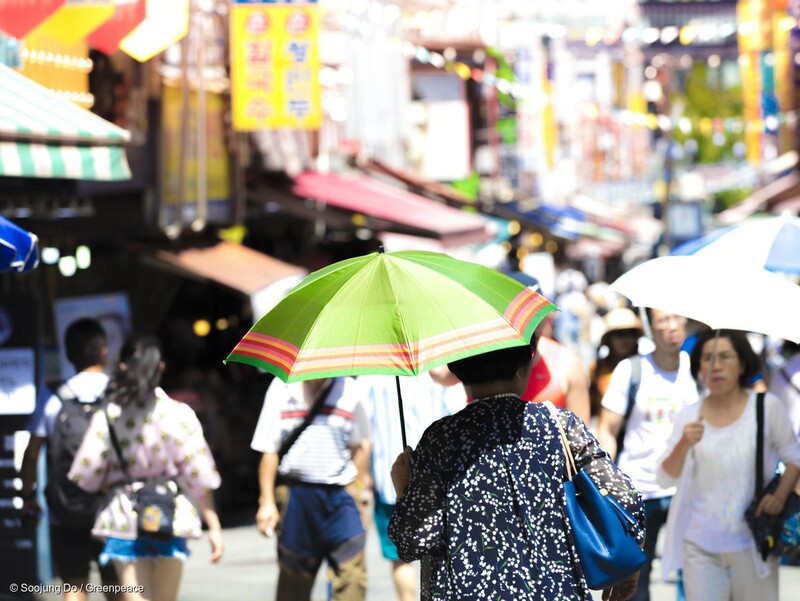 In Namdaemun market, Seoul, South Korea, a woman walks with an umbrella to avoid record-breaking heat. Over the past few weeks, images have been flooding in from Greenpeace offices around the world, documenting our current “hothouse” state. In Japan, Germany, Denmark, Switzerland, and Korea temperatures have soared, with some beating previous heat records measured in the country. 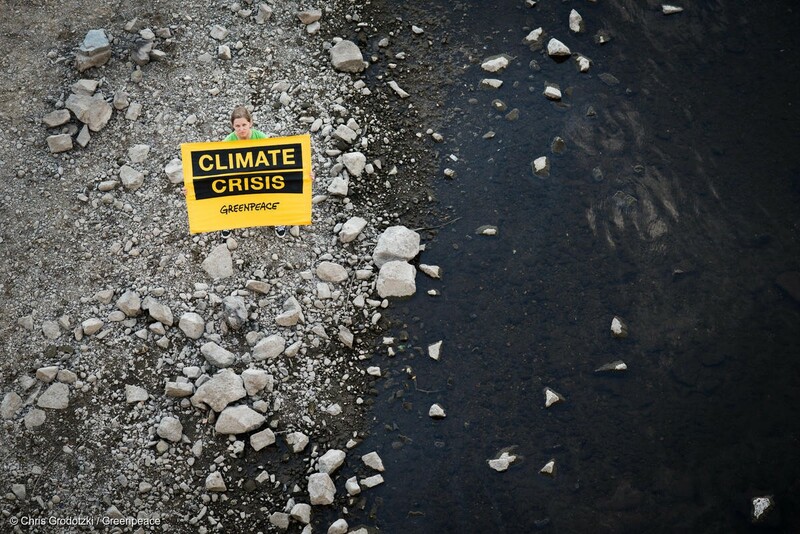 An activist holds a banner reading “Climate Crisis” on the banks of the Elbe river in Dresden, currently with a low water mark of 54cm. As a consequence of extreme heat, comes forest fires. In Russia, Greece, and California, these forest fires have caused mass devastation, with millions affected and tragically, lives lost. 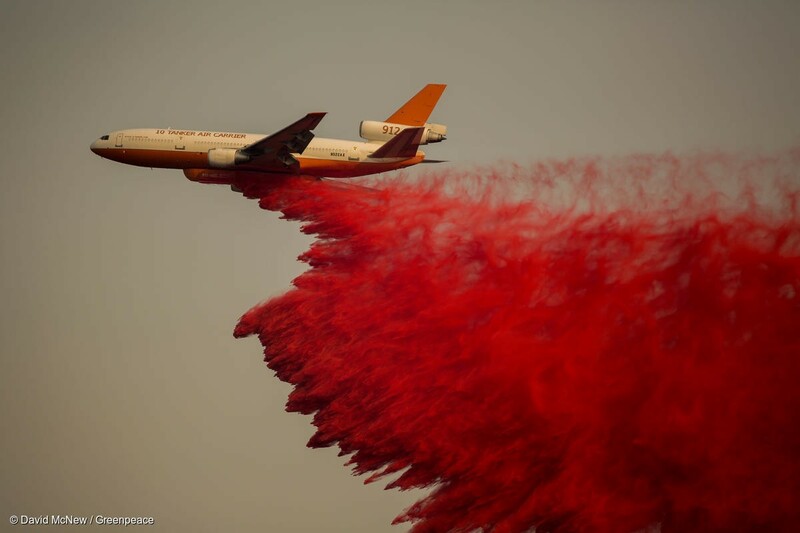 A firefighting jet drops fire retardant during the Holy Fire near Lake Elsinore, California. The Holy Fire has scorched more than 21,473 acres after it ignited in the Cleveland National Forest’ Holy Jim Canyon. The aftermath of forest fires which occurred on July 24 in the areas of Mati & Kokkino Limanaki, Attica, Greece. 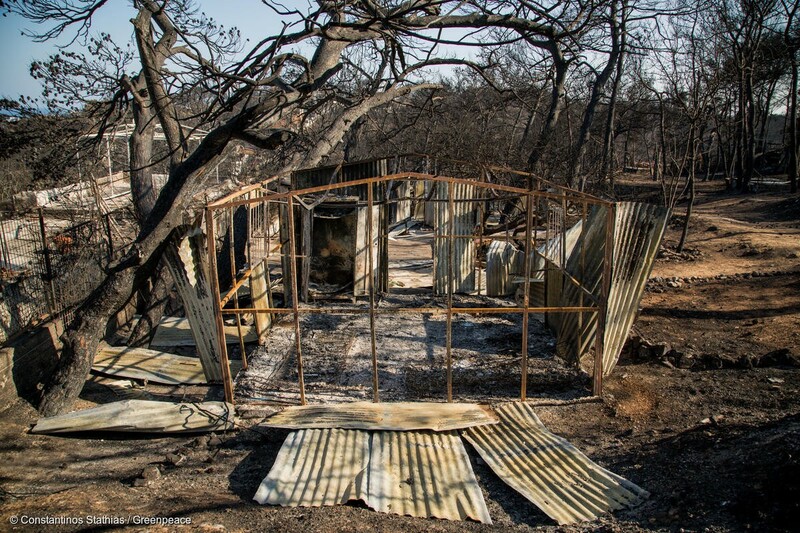 Most of the forest in the area is burnt and many properties, including shops, were destroyed. But it’s not just the bash heating in the northern hemisphere that has been felt. In other areas like southern France and India, there has been more flooding than usual. 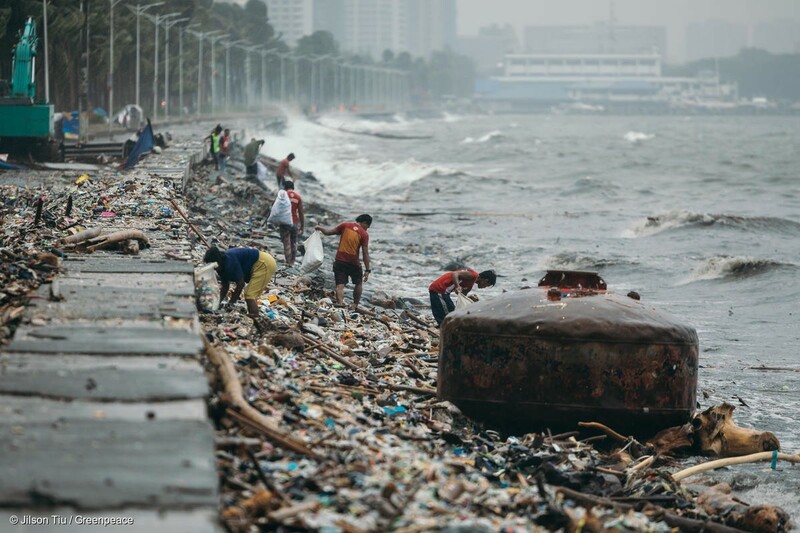 In the Philippines, a country that experiences up to 20 typhoons a year, the impact of single-use plastic has been seen after a heavy storm, with mountains of plastic washing up on the shorelines, and garbage clogging up drainways and causing flooding. 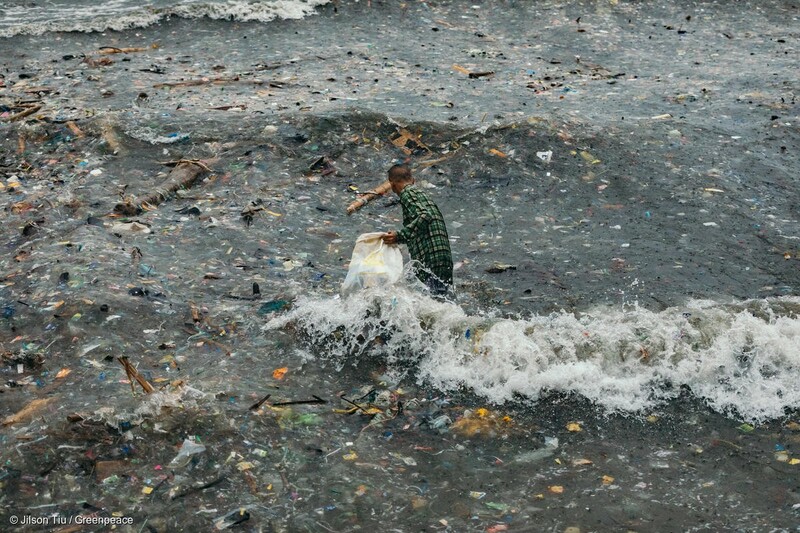 Metro Manila and nearby provinces are being flooded by cheap, disposable plastics, and producers are set to increase production by an additional 40% over the next decade. 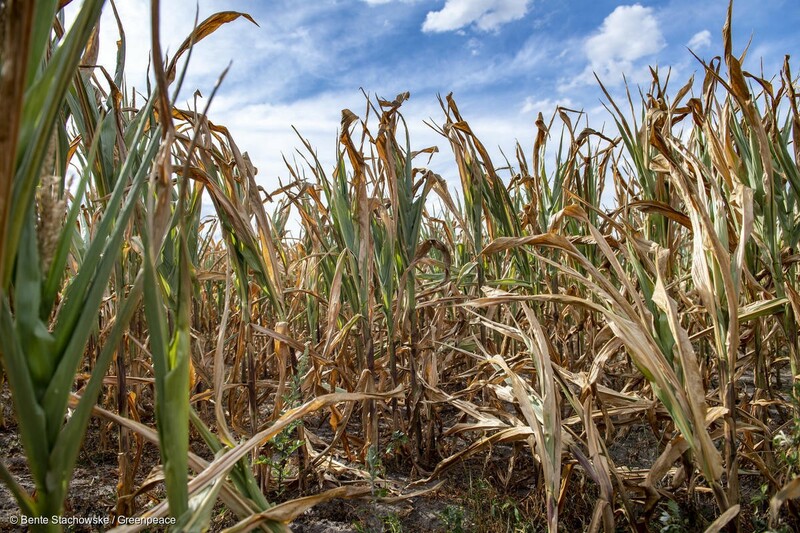 Climate change does not know any borders, continents or hemisphere. These photos, and the fact that there is a very clear pattern happening around the world right now represent the stark action that must be done. We must keep temperatures within the 1.5C Paris agreement and that means curbing the use of fossil fuels, encouraging governments and companies to stop funding coal projects and pipelines, and more importantly, share what is happening with your friends, family, and colleagues. We know that there are hundreds of thousands of committed people across the world who long to see a greener and peaceful future. The power of people works like a chain reaction to inspire each other towards a collective greater goal. By seeing images like this, we can come to understand the issue, rally together, and force governments and corporations to take steps.